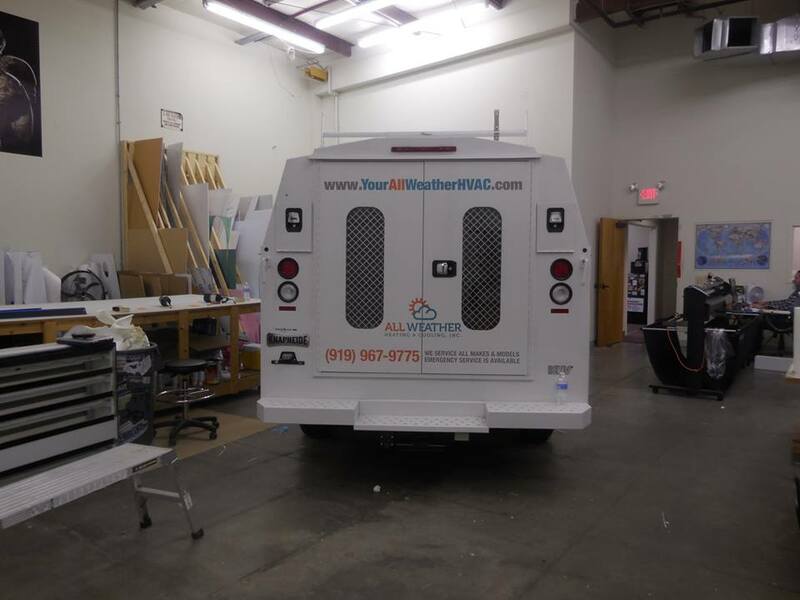 New vehicles with vehicle wraps! 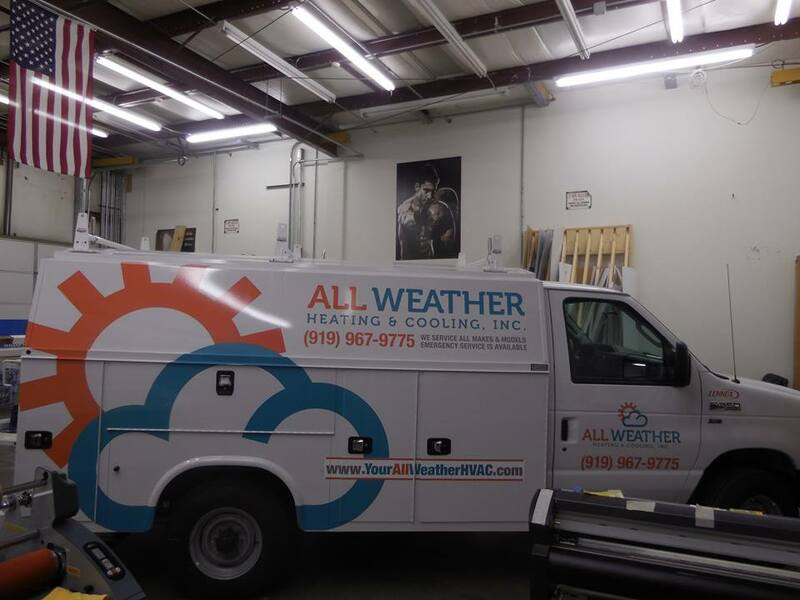 All Weather Heating & Cooling, Inc. has new vehicles with vehicle wraps we recently completed at Sign Edge. 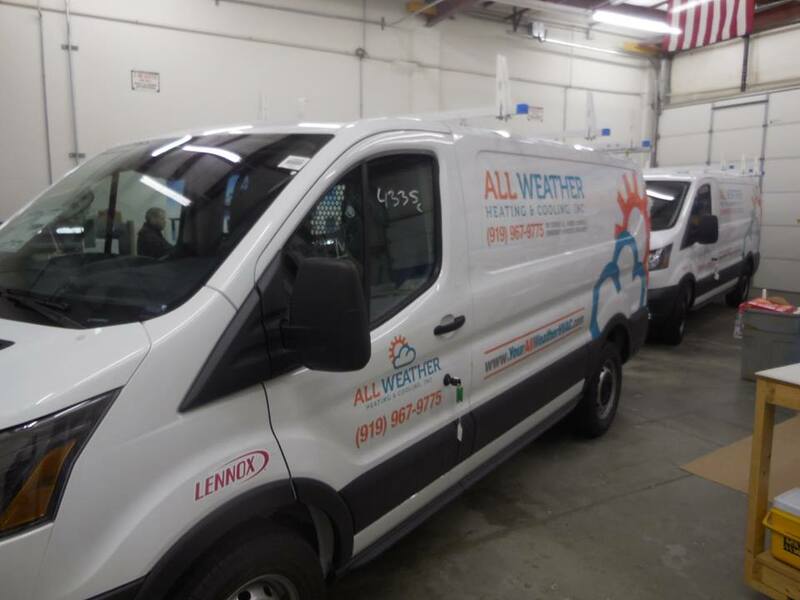 These are now ready to roll out and service their client needs for the new year. 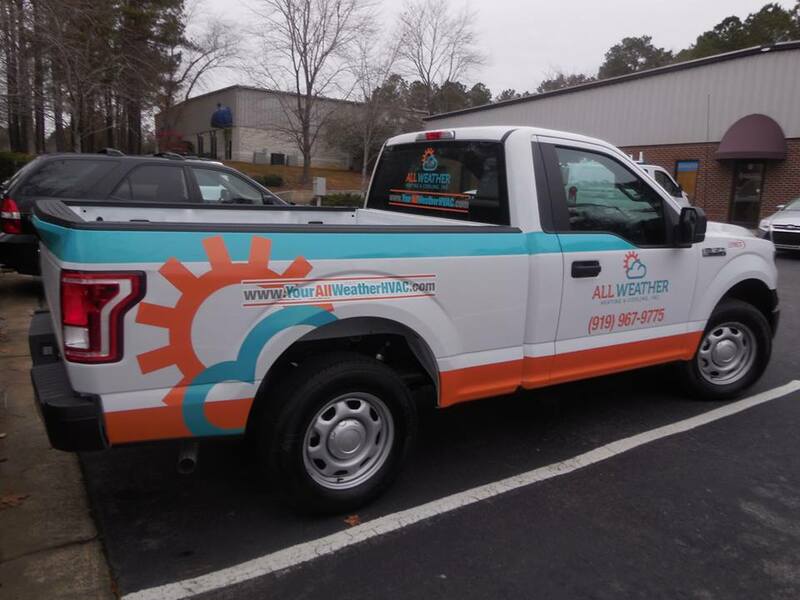 If you have new vehicles or just want a new look in for the new year, call us at Sign Edge - 919-303-0578.